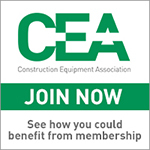 The Construction Equipment Association (CEA) Annual Conference, sponsored by machinery manufacturer SMT, is taking place on 21st March 2019, hosted at the new home of Plantworx Construction Exhibition, at the East of England Arena in Peterborough. Moderating the conference is Chris Sleight, Managing Director, Off Highway Research. 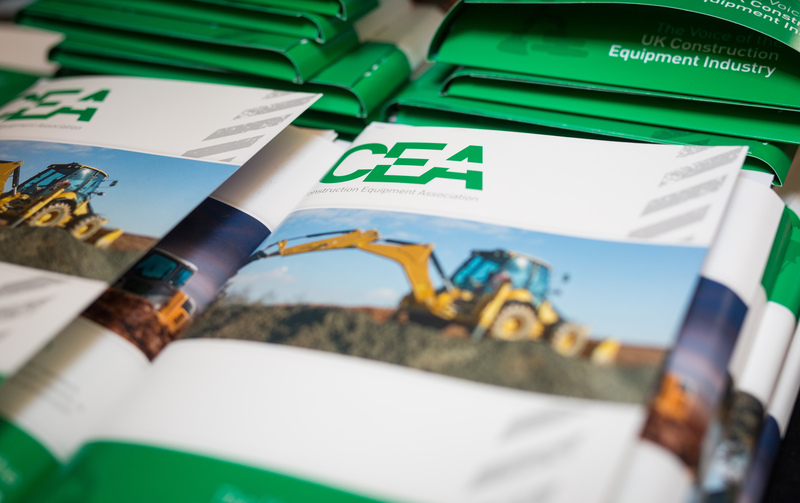 The CEA annual conference, under the title of, Today’s Horizon, will be focusing on UK Market Opportunities (2019 – 2025), with parallel workshops running in the morning, dealing with current issues including training, with a particular focus on upskilling, and the CEA’s new partnership with the National Fluid Power Centre. There will also be a workshop on the technicalities of emission regulation and guidance on meeting the requirements of Low Emission Zones and “green” construction initiatives. 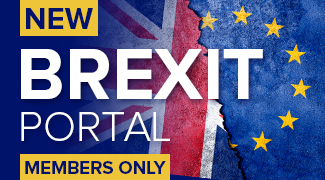 Malcolm Harbour CBE and a customs expert will run a workshop on EU import and export issues in a post-Brexit world. 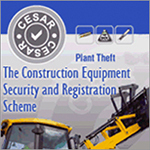 The CEA will also be using the event to launch the UK Construction Equipment Sector Study, jointly funded by CEA and BEIS (Dept. of Business, Energy and Industrial Strategy). The afternoon will feature guest speakers from mega-infrastructure projects and agencies that are currently investing in construction equipment, including Highways England, EDF Energy and HS2. Chris Sleight, Managing Director, Off Highway Research will open the afternoon’s proceedings with a UK Equipment Market overview. Bob Bell, Renault Sport Racing, Technical Advisor (formerly Chief Technical Officer), Renault Sport Formula One™ Team. Bob will explore Formula 1 V Construction Equipment and what can we learn from performance engineering. Paul Whitehead, Highways England, Procurement Team Leader. The government has set an indicative budget of £25.3 billion for road investment from 2020-2025. Highways England is charged with delivering the strategy. Paul will discuss upgrading the roads network and Highways England’s plans to 2025. Dave Speight, EDF Energy, Hinkley Point C, Head of Construction. EDF Energy is leading the UK’s nuclear renaissance with the construction of a new nuclear power station at Hinkley Point C. Dave will address delegates on investment in energy and how Hinkley will provide low carbon electricity to meet 7% of UK demand. Alex Woodrow, Managing Director, Knibb, Gormezano & Partners (KGP) will conclude the day’s proceedings with the launch of the UK Construction Equipment Sector Study. The conference will be followed by a Gala Dinner, sponsored by Caterpillar, and the presentation of the Plantworx Innovation Awards 2019, by snooker legend turned techno DJ, Steve Davis OBE.